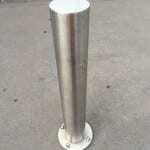 Spring Steel Buffer car park barriers are designed to yield and absorb the energy of an impacting vehicle. 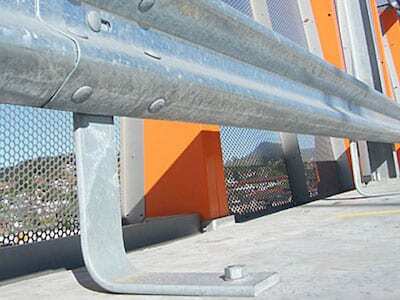 The yielding action of the system minimises damage to the vehicle and the barrier. In addition the forces transmitted to the foundation are reduced and only 1 anchor bolt per post is required. 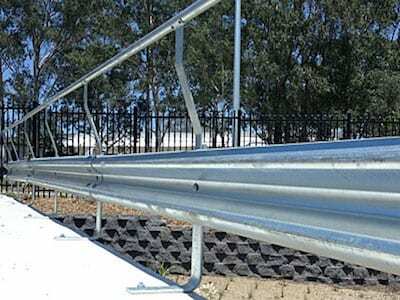 This is a significant advantage when compared to rigid post systems and facilities rapid installation whilst fewer anchor holes preserves the integrity of the car park deck. Spring Steel Buffers are independently evaluated to determine conformance to car parking loading standards. 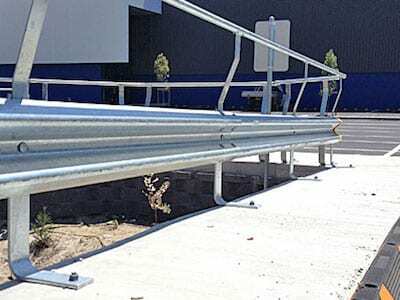 The deflection of the system is typically contained within the post footprint and the systems can be configured to accommodate anti-climb mesh infill and handrail providing a complete car park barrier solution. 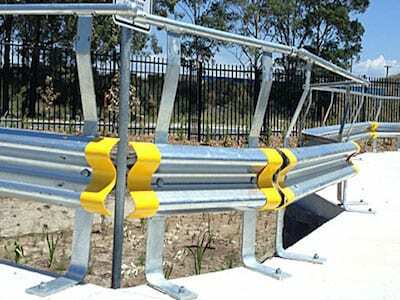 Impact tested to evaluate performance and compliance to car park barrier loading standards. 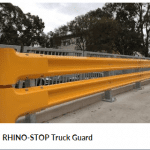 Minimises damage to the impacting vehicle and barrier system. Energy-absorbing characteristic reduces loads transmitted to the car park foundation. 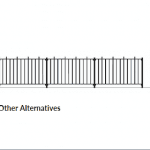 Can be configured to integrate anti-climb mesh infill and pedestrian handrail. Fast and simple replacement after impact. Designed to withstand a horizontal force of 30kN, normal to and uniformly distributed over any length of 1.5m. This load is derived from a 1500kg vehicle travelling at 2.5m/s. 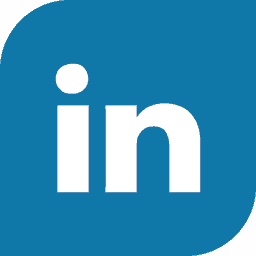 Recommended maximum post spacing: 2m. Number of anchor bolts per post: 1. Pull-out loading force: 75kN (includes 50% safety factor).